Platboom, Cape Peninsula, South Africa; drift; fide Robert Anderson. 21 Sep 2005. Michael Guiry. © Michael Guiry (mike.guiry@nuigalway.ie). This is the type species (lectotype) of the genus Pachymenia. 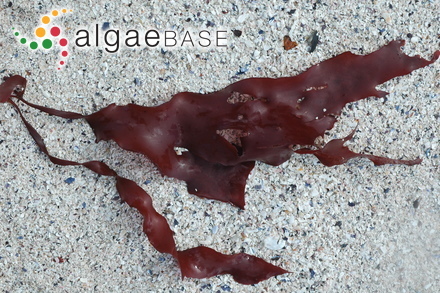 Type locality: "Van Kampsbay" (Camps Bay), Cape of Good Hope, South Africa (Silva, Basson & Moe 1996: 201). Accesses: This record has been accessed by users 1346 times since it was created.